• Larry Robbin, Executive Director of Robbin and Associates, has over forty-five years of diverse direct service, management, program development, training and consulting experience in workforce development, education, training and social services. He is widely regarded as a national expert in those fields. Larry has provided consulting, training and other services for more than 1000 organizations including all types of government agencies, one-stops, nonprofits, for profit businesses, schools, community based organizations, training providers and many other entities. For a partial list of the organizations that have used his services, click here. • Larry has trained more than 100,000 people across the country and presented at over 500 local, regional and national conferences. He has done more training for the National Association of Workforce Development Professionals, California Workforce Association, National Network of Sector Practitioners, CalWorks Welfare-to-Work Conference and Dynamic Institute webinars than any other individual. He has been a keynote speaker at many events including state and national conferences as well as those sponsored by the Department of Labor, Department of Rehabilitation, Department of Health and Human Services, National Youth Employment Coalition, Microsoft and Apple and many other sponsors. For information on his training and keynote speaking, click here. • Larry has designed over 150 innovative programs and projects serving virtually every population with barriers to employment and facing other challenges. These models are well known for their award winning employment, retention, training and other outcomes with individuals that have not been successful in other types of programs. Larry’s unique approach combines participant empowerment, cultural sensitivity, creative problem solving, collaborations and close partnerships with private sector businesses to achieve state-of-the-art outcomes. Many of his strategies have been widely replicated so it can be said that his work has touched literally millions of people. For a list of the populations that have served by his program designs and the types of services he provides, click here. 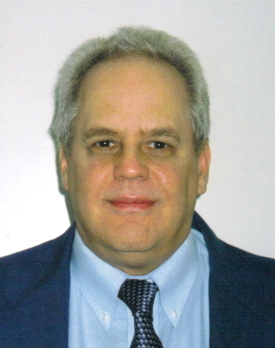 • Larry has extensive experience working with small, midsize and Fortune 500 private sector businesses. He has helped many workforce and other types of organizations develop high-level relationships with a variety of companies that resulted in hiring, financial donations, joint projects, volunteers and many other benefits. His consulting models for developing the Master Strategy for Business Relationships, Moving From Placement to Partnership and How to Ask Companies for Money have helped organizations engage businesses in ways they never thought possible. • Over sixty of his articles, interviews and comments appear in a wide variety of publications including the Employment and Training Reporter, which is the oldest publication in the workforce development field. He has also appeared in NetAssets Human Resources Newsletter, Job Training and Placement Reporter, APSE News, NAWDP Advantage, New York Times, Refugee Works, Alameda Times Star, San Francisco Chronicle, Solutions, National Youth Employment Coalition Newsletter, Disability World and other publications. Larry has written a chapter on employment published in a book by CAPS press. To see some of his articles, click here. • Larry has won many awards and honors for his work. The Federal Department of Housing and Urban Development gave him an award for his work with organizations serving people that were homeless. Roosevelt University Council of 100 gave him an award for outstanding service to low income communities. The Mayor of San Francisco issued a proclamation in his name for his work building collaborations among programs serving people with barriers to employment and for being the keynote speaker at the first Bay Area Workforce Development Conference. Over twenty organizations serving all types of populations such as people with disabilities, youth, people in reentry, dislocated workers and many others have given him certificates of appreciation for his professional and volunteer work. His efforts have received international recognition and he was one of the first Americans invited to visit China to discuss workforce development. He has also been invited to Canada to give a keynote speech at a major workforce conference. "I have had the honor of knowing and working with Larry Robbin for more than twenty-five years. He is one of the nation’s most renowned experts in the dynamic field of workforce development. Larry has extensive experience as a businessperson, program designer, workforce development direct service provider and national consultant, trainer and keynote speaker. This is a unique combination in this field. It makes him the most effective trainer and consultant I have ever encountered because of the depth and breadth of his perspectives. Every time I get together with Larry to take advantage of his expertise as one of his clients, I gain invaluable insight and knowledge. Everyone in the field of workforce development who has the opportunity to hire him as a consultant or trainer should do so. He is, from my point of view, the best in the business." "Larry Robbin has been a strategic partner to JVS through most of our 40 year history. Through staff training, management consulting, and program development, Larry has helped JVS develop and run programs that successfully meet the needs of the community and of employers. His deep expertise in workforce development, national perspective and sensitivity to organizational needs make him a highly valuable and trusted resource."